Right now, she is sitting near the top of the US charts mainly because CNN used a song from her most recent album as a backdrop to their pictures of the Twin Towers attack. It wasn't as if the album needed a push. When it was released nearly a year ago, A Day Without Rain went into the US charts at number 17 and has not been out of the Top 40 since. It was at number 19 on the week of the terrorist attacks. After the horror of September 11, Americans are finding solace in Enya's dreamy music and she's moving swiftly up the charts. It's an ill wind that doesn't blow some good. Ask Enya. In a curious and unexpected way, the horror of September 11 has propelled her to the highest position she has ever enjoyed in the US album charts. She currently resides at number two, behind a rap demigod called Ja Rule whose song titles include 'Kill 'Em All' and 'Suicide Freestyle'. And they're among the printable ones. Enya, however, doesn't do expletives. If one ever crossed her lips in an unguarded private moment, it certainly never made it to any of her records. Her dreamy, moon-drenched, vaguely New Age music is the anthitesis of everything nasty and unpleasant in the world. Which is why it is currently enjoying a significant resurgence in the US. Critics have used phrases like Celtic codology and elevator music, but this is a view which vast numbers of record buyers worldwide obviously don't share. She has sold 52 million albums to date, placing her firmly in the global megastar category. Think Enya and you think shimmering wind chimes and magical dream catchers not the massacres of New York, Washington and Pennsylvania. Her lush, brush-stroked harmonies give the impression of having been recorded amid towering banks of candlelight. But CNN's use of the song 'Only Time' sparked a new wave of interest. To the traumatised viewing public, it was a soothing counterpoint to the shocking images on their screens. Enya's trademark sound is precisely the sort of reassuring, comfort music with which many Americans are now trying to ward off the awfulness of September 11 and its dangerously uncertain aftermath. Fingers are crossed in the Enya camp that she will make it to number one. If that happens, it will be the peak of an already extraordinary career. Enya's determinedly low-key lifestyle can easily make us forget just how massively successful she really is. Her worldwide album sales show no sign of abating. Her US sales are not far behind those of Madonna. Her personal wealth is estimated at over £40 million and growing. This success is all the more remarkable given that she shuns the headlines and has played only one live performance since leaving Clannad. That unique event was many years ago in the National Stadium in Dublin, before her recording career began. A self-publicist, she is not. Like or loathe her music, few people will deny that Enya is a gifted stylist who has almost singlehandedly defined a new genre. Her songs are meticulously crafted in the private, shut-away world of her own personal high-tech recording studio at her home in Killiney. Her famously layered sound requires her to sing even the smallest vocal part possibly hundreds of times over. But after some 15 years labouring in the studio, Enya is considering the possibility of performing live again. Pressure for a live show is growing from both her record company and fans. But the logistics would be immense. A live show is likely to require a symphony orchestra and several choirs. 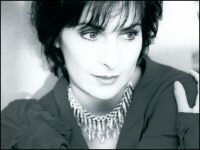 Rather than trying to recreate the exact sound of the records, a live performance would be "another version of Enya", according to her producer and manager Nicky Ryan, whose wife Roma is Enya's lyricist. It is likely that, before any live shows, Enya will perform a TV special. The location could be somewhere exotic, like a Roman arena for its grandeur and atmosphere. While no decisions have been made, it is also possible that she might do a small number of major one-off gigs in the US and Japan. Ireland would also be included. "It's a scary old thing," says Nicky of the immensity of such an undertaking. "We want to get it right." The latest events mean that Enya is currently in big demand in the US. She is scheduled to do six TV appearances there next week, including The Jay Leno Show. However, a request for an Irish Independent interview was politely rejected by her manager. "She's wrecked", says Nicky Ryan. "Really tired." Her tiredness, he says, is the result of 12 weeks of hard work on two new songs for the soundtrack of the forthcoming Lord Of The Rings film. One of her pieces will be the theme song of the film. Its chorus is written in Elvish, the language devised by Tolkein. On Enya's famous low-key existence, her manager says she is certainly no recluse. She is a very nice person, if people would just give her a chance. Because of her low profile, people expect her to be incredibly aloof. "But she's not aloof at all," he says. "She does have a life," he adds with a hint of exasperation. "All this bloody stuff about her being a recluse put it to bed, for God's sake." It's something which has been cultivated by the press, he says, and it annoys her a lot. So what kind of a life does she have? Does she go for a pint, for instance? "She'd kill me if I talked about it, so I'm not going to talk about it. There's a difference between being a private person and a recluse. "We're a close-knit little community here, the whole Enya thing," he says, referring to the three of them. Nobody else is involved in the creative process. As an experiment, they brought in some strings players for the last album. It didn't work and was not used on the record. Enya's success, says Nicky, is not something which just fell into their laps. "It was extremely hard work. We didn't say let's try this New Age thing. The music just developed." The New Age tag, he believes, came as a result of the American habit of pigeonholing people. Enya's music is not mainstream, so they had to find some label for her. But her music is not without its critics, some of whom have described it as bland and repetitive. Rolling Stone magazine, in a stinker of a write-up, likened her to a relative who keeps telling the same holiday stories all the time. She needed, it strongly suggested, a fresh musical direction. What about the view of some critics that Enya's music lacks substance? Nicky Ryan's response is blunt: "They're only bloody words coming from people who are just talking about music. What do they know? The Rolling Stone criticism flows off her like water off a duck's back," he says. "She's not interested and doesn't care what people say about her." A curious aspect of Enya's music is that she does not compose spontaneously. She only sits down to write when there is a new album to be made. Nicky insists that this does not mean they they work to a well-proven formula. The people who say that kind of thing are "boring old farts who hate Enya", he claims. "I don't see it as a formula, I see it as a combination of strengths." We are not likely to see any dramatic future shifts in Enya's musical style, he admits. But he says it is "absolutely not true" that her music has not developed over the years. Everybody has a style, he says, and style is what separates her from her many unsuccessful imitators. With 52 million albums under your belt, it is easier to ignore what people say about you. "I care so little," he says exaggeratedly. "But I do get excited nonetheless. It does bug me because I feel very protective about her. I know the amount of work she puts into it." And Rolling Stone got its come-uppance this week when it requested an interview with Enya. Nicky says he couldn't believe the hypocrisy involved. "What the hell is Rolling Stone? It's just a magazine, for God's sake. It used to be a serious music magazine, but then it started putting Britney Spears on the cover and saying this is rock 'n roll." There was a time when snubbing Rolling Stone would have been out of the question. Nicky knows it well. "When you don't need them," he admits, "it's a nice position to be in." Note: Transcribed by Book of Days.